I would definitely give my overall experience from ordering to shipping to receipt of product and quality of product a five-star rating. I am glad I ordered the 4X size instead of the 3X. I could have worn the 3X, but I knew the sleeve length would have been way too short for me. As it is, the sleeve length is still a little too short, but I have longer arms than is usual for the typical customer. Arm length is always a problem with me when buying long sleeve items. But it appears that there is still enough material (about 1/4 -1/2 inch) in the sleeves so I can have them lengthened to the appropriate size, which I don't mind at all. I really like the smoking jacket and so does my wife. It has a very rich look and feel to it, which makes it quite appealing and attractive. I would certainly recommend it for anyone interested in purchasing a similar product. Thank you to the company for making this available, as I had been looking for one of these for quite some time. Love the clothes! pants were a size to small....(not your fault). I returned them and within a week had the right size! I am HAPPY and IMPRESSED! Clothes are for an 1890 Wedding. Thank you so much! Selection of items is huge, ordering is easy. Delivery is fast. Totally satisfied. Highly recommend this business. the vests,the shirts,the ties are all great quality i love wearing them all the time! i have bought alot of shirts, vests and ties here and have never ever been dissapointed there is no place else i'd rather shop than here! the people the customer service is outstanding! love you guys! I was wanting this item for dual purpose, first for steamp punk for halloween and this is quite the right choice for me; secondaly my husband and are going on a cruise for my 53 birthday and I wanted something t hat would transition over for the formal night on ship. This was the best purchase I have mad in a long time for general my wardrobe. Thank you for having this quality item. LOVE LOVE LOVE IT!!! and husband did too. I have purchased twice from GE and have been highly impressed with the efficiency and courtesy of your customer service. The products t hat I have purchased, without fail, have been of excellent quality at a fair price. I will definitely purchase from GE in the future! very fast efficient service in filling my order.very nice looking quality products.no red tape just good service and fit. Everything I have purchased over the past year from G.E. has been of high quality and reasonable prices. W hatever you buy, the quality fabrics and tailoring won't be an issue. And if something doesn't work for you, just send it back. No worries. Thanks guys!! I contacted your customer service people several times, for various reasons, and everyone I talked with was so nice- helpful, polite, friendly, and efficient. I am a difficult fit, so I really appreciated the extra help I got. Great vintage clothing! As the owner of a vintage silverwares jewelry business I am always trying to stand out in the crowd and the clothing from Historical (Gentlemans) Emporium fills the bill! I didn't actually get my gloves -- the manufacturer recycled the product number and didn't let the Emporium know, so I wound up with woolly wrist-length steam-punk looking gloves instead. However, the young man who handled my complaint couldn't have been nicer and gave me a complete refund. 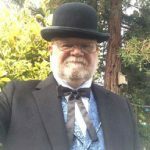 I bought my son-in-law a beautiful Victorian vest here earlier on, and the site is my first choice when looking for steam-punk or Victorian costume pieces. The quality of your product is very good. Sizes fit as stated. Lots of options. The shirt i bought was fabulous. It has been a wonderful experience dealing with your organization. I am satisfied with all aspects of the products purchased and cannot wait to wear the outfit at the end of this month at our club's vintage side x side shotgun shoot. Thank you. The holsters I ordered were made of good leather and fantastic tooling. Customer service was great. I have ordered clothing from the Emporium several times. I am always surprised at the speed of the delivery and the quality of the product has been exceptional. Wow! The vest arrived super fast. It is very nice quality and fits well. Always fantastic. Variety super. Service is first rate. Excellent product and customer service! Will be calling back for more stuff! This time I didn't need any help but in the past I have used customer service. I know when I purchase something if anything is wrong I will get immediate attention. As stores go I would say this has the highest rating I could give for fantastic customer care and service. Wonderful selection and outstanding customer service make this THE place to shop for historical clothing!! Bravo to all!! this was not my first purchase from your firm, and is not likely to be my last. your prices are more than reasonable for the quality products i have received. your shipping is prompt, and your selection of the eclectic is unmatched. i especially like that i need only look in one place, without spending hours on the web trying to find the vintage style which i frequently require. Historical Emporium Stores have a good variety of products. However, I find the products are if poor design and lacked attention to details, especially in the cuttings of the vests, pants, etc. It appeared that the products started with one set of cutting for a certain size, and all other sizes were either lengthened or shortened without that people come in all sizes. An XXL shorten to L or S would not give you the right proportion and make the products look ridiculous on a person. The products would have been priced reasonably given proper attention to the details, however, the products that I have received including vests and pants are not worth the money. Services provided by staff are prompt. I do a good many historical presentations involving a variety of characters as part of my Yesterdays Gentlemen efforts. I have been very pleased with everything I have purchased from you. I also am the editor for the Gilded Age Today newspaper and think t hat it would be great to have you advertise in this publication. I found western Emporium to be a fantastic company to do business with. Your selection is stellar, your products are great, just as advertised! Once ordered, your service is very fast. I will do business with you again and again, and will tell my friends as well. The sizing instructions were right on and the pants were exactly what was described. As always, your service is impeccable and your selection is fantastic! I had to exchange 2 vests for a larger size. They just arrived and fit great. They are obviously high quality products. The shoes I had also are really comfortable and look great. Very impressed with your service. I will definitely do business with you again. Thank you so much. It's hard to pay two more times to return and exchange items after following your instruction using a tape measure and though the order comes at w hat I thought was the correct size it ends up being too large.